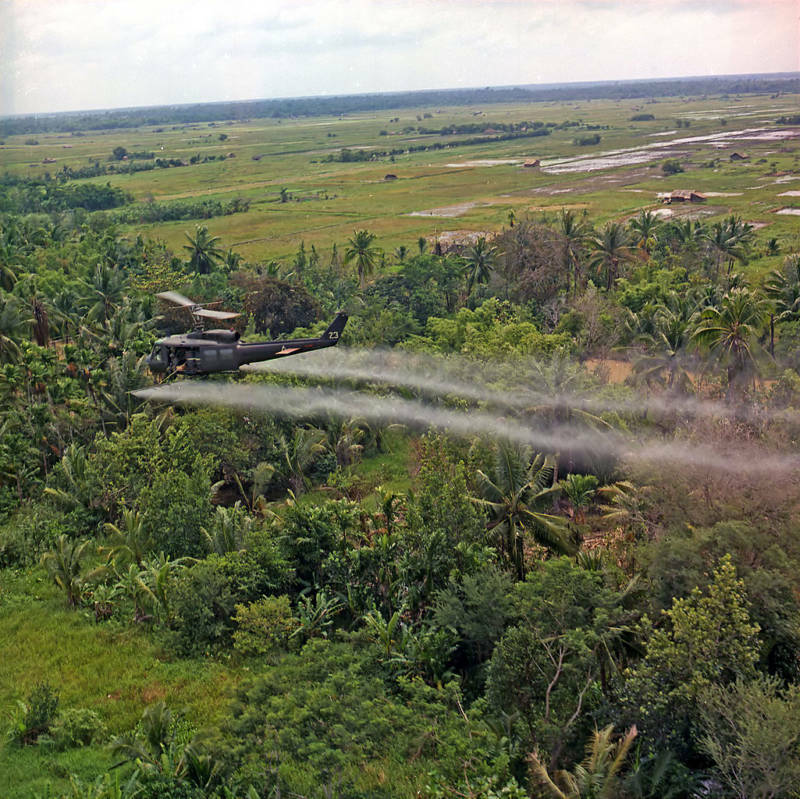 Today, many Agent Orange victims live in Peace Villages, communities where workers care for them and try to give them a normal life. 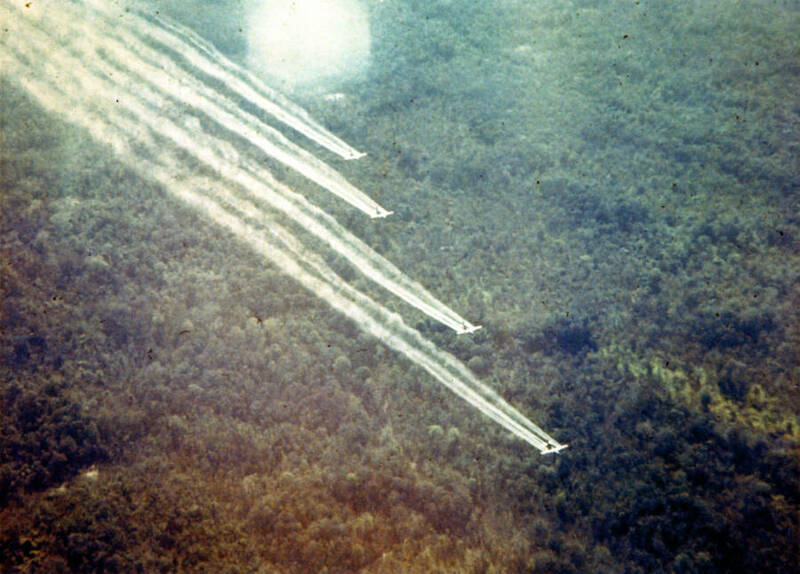 However, “normal” will never truly be possible for most, as mutations caused by Agent Orange still affect the people and the children of Vietnam. As AllThatIsInteresting reports, those who can live in Peace Village are luckier than some of their siblings. 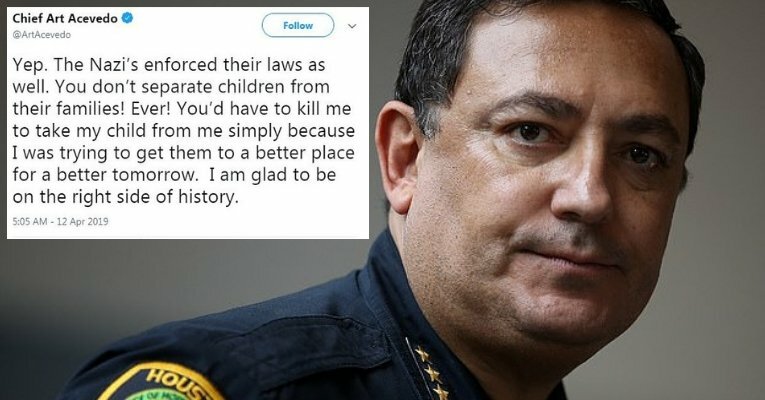 Reportedly, some victims of the chemical agent are too deformed to even survive childbirth. 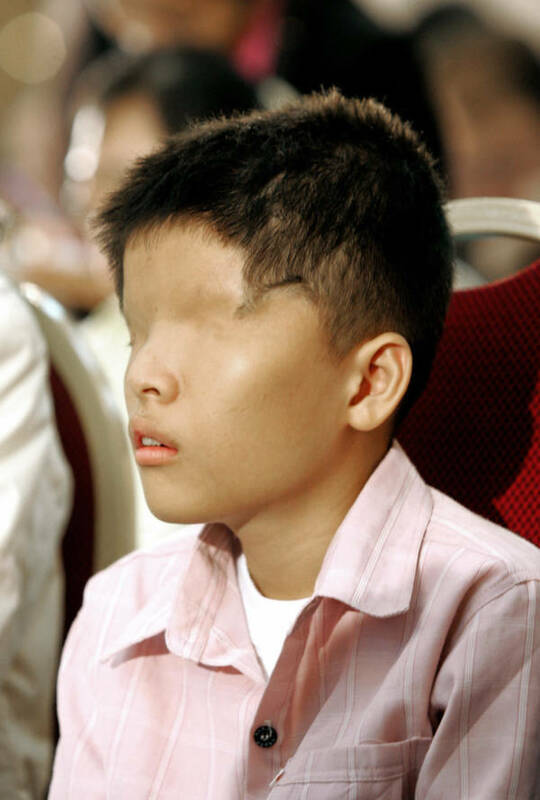 2) Le Van O., a 14-year-old boy who was born without eyes because of the effects of Agent Orange. 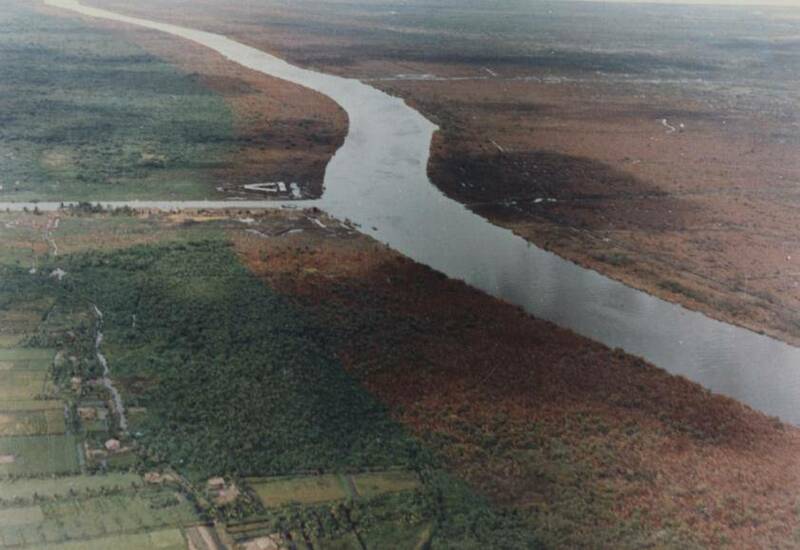 3) An aerial photograph showing the effects of Agent Orange. The land on the left hasn’t been sprayed while the land on the right has. 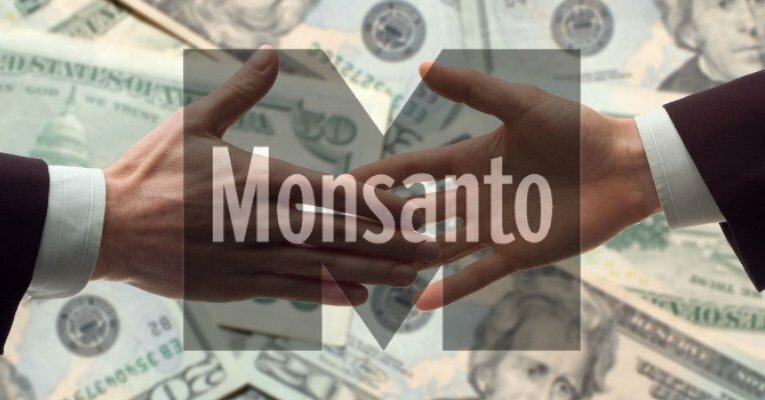 4) Not all of the chemicals were sprayed from above. 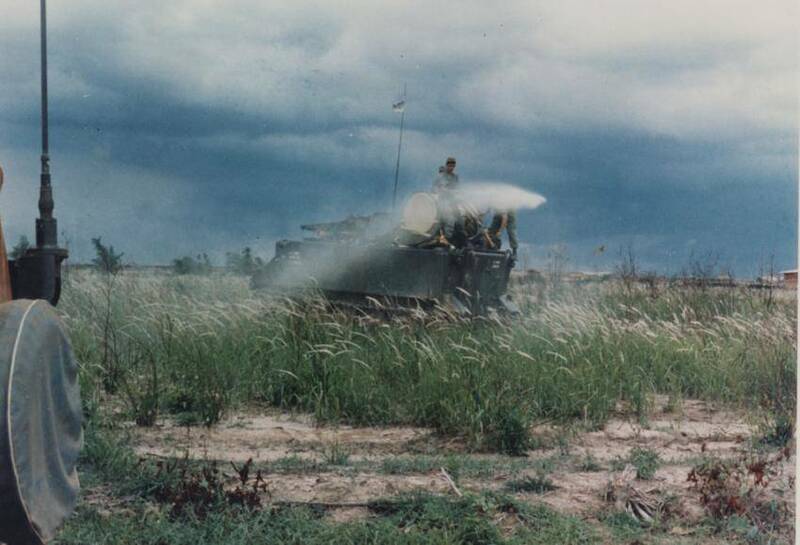 These soldiers are spraying crops from atop a vehicle, getting up close and personal with the dangerous chemicals. 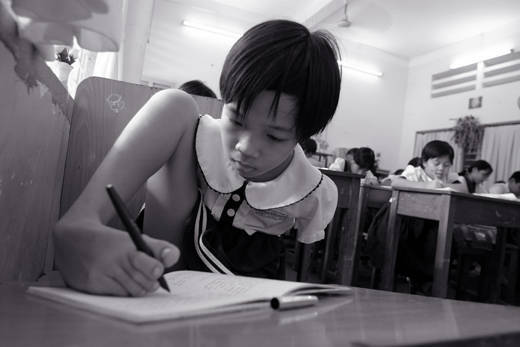 5) A ten-year-old girl born without arms writes in her schoolbook. 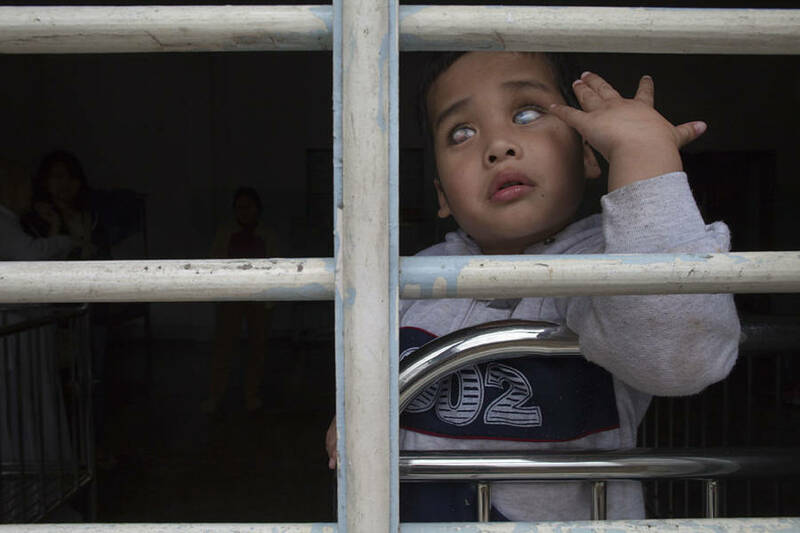 6) A five-year-old boy, born blind and mute because of Agent Orange poisoning, sits at the barred window of an orphanage. 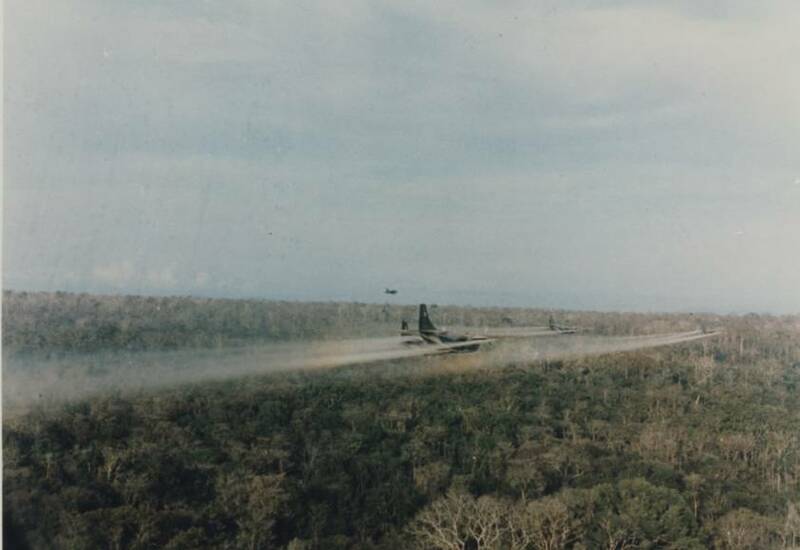 7) Soldiers down below help spray Agent Orange on the jungle, getting a dangerous dose of the chemicals all over their skins in the process. 8) 55-year-old Kan Lay holds her 14-year-old son, born with severe physical disabilities because of Agent Orange. 9) Tran Thi Nghien bathes her handicapped daughter, an Agent Orange victim who is incapable of bathing herself. 10) Hoang Duc Mui, a Vietnamese veteran, speaks to American veterans during a visit to Friendship Village, Hanoi’s shelter for Agent Orange victims. 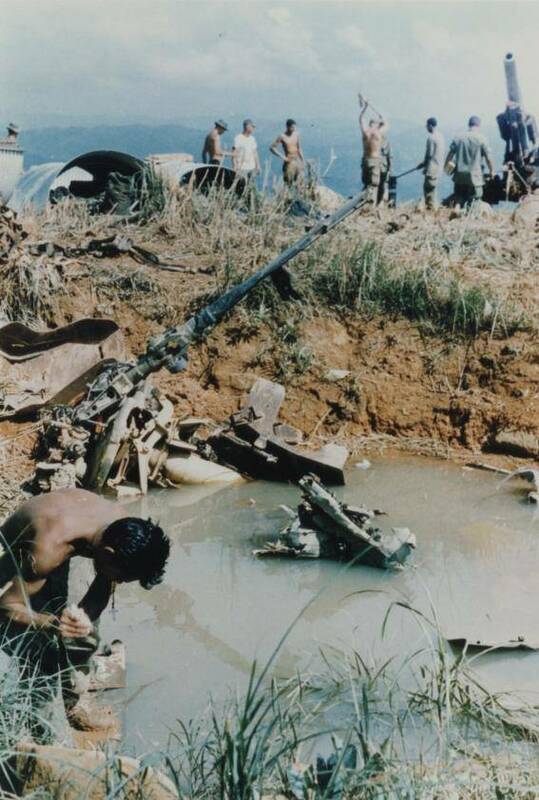 11) A soldier, after spraying the land with Agent Orange, tries to wash himself clean in some of the very waters that he had helped pollute. 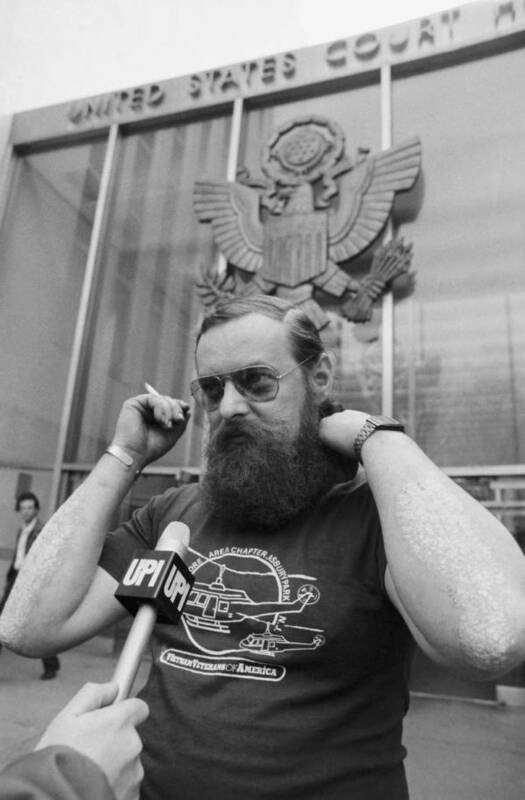 12) An American veteran shows the long rashes across his arms that he developed from working with Agent Orange. Under his clothes, the rashes cover half of his body. 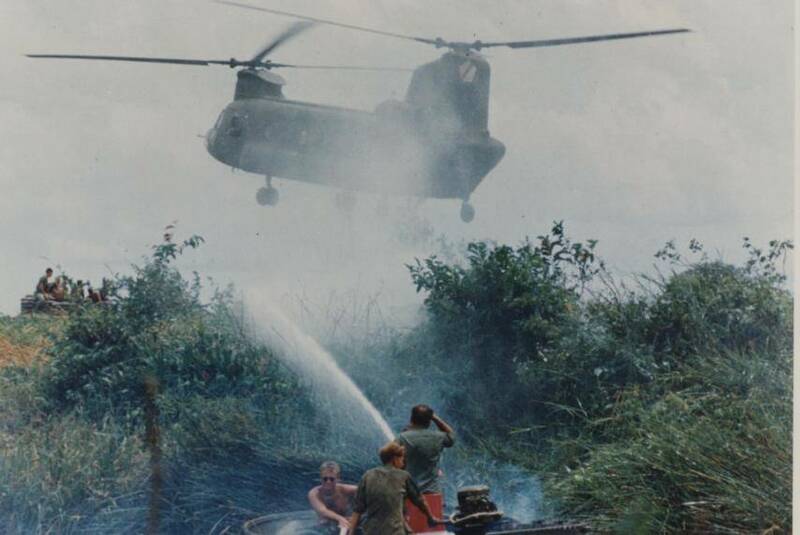 13) A helicopter sprays Agent Orange. 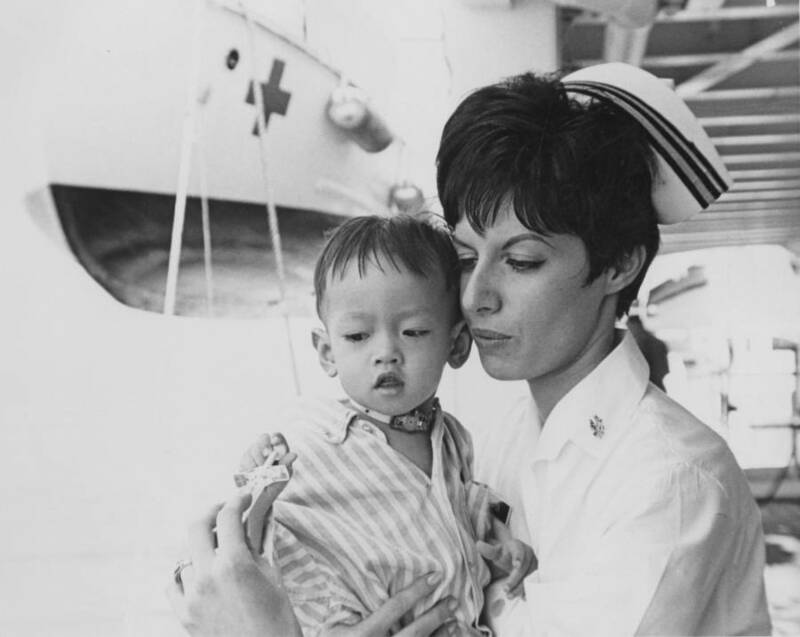 14) Lt. Kathleen Glover comforts an orphaned Vietnamese child. 15) A man begs for money outside of a cathedral. 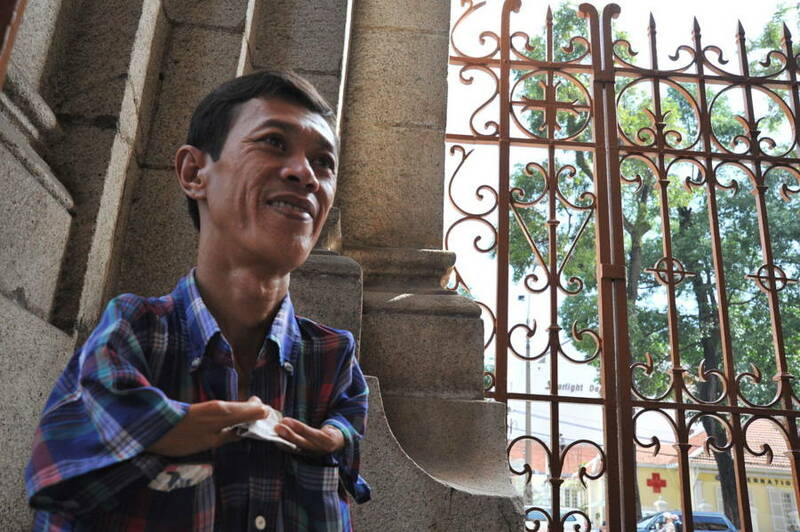 He was born with a deformed arm because of Agent Orange, and it makes it nearly impossible for him to find work. 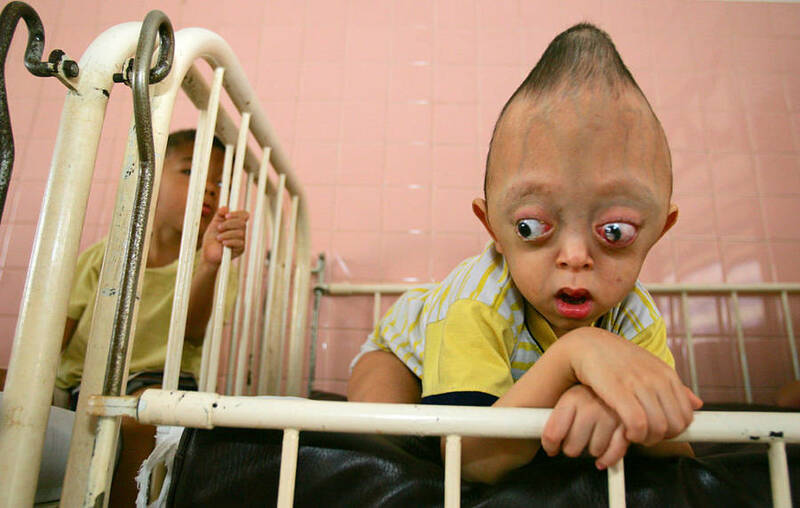 17) A child born without eyes lies in bed at an orphanage that takes care of 125 children, all born with disabilities because of Agent Orange. 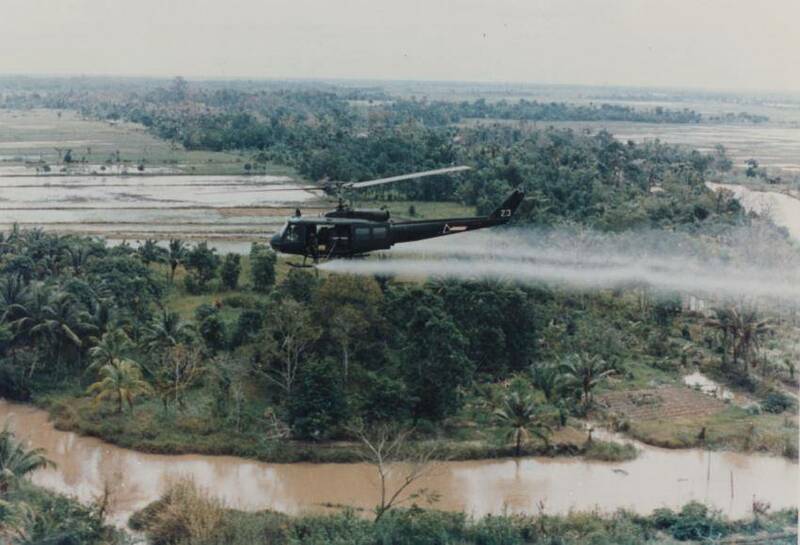 18) A helicopter sprays Agent Orange on Vietnamese farmland. 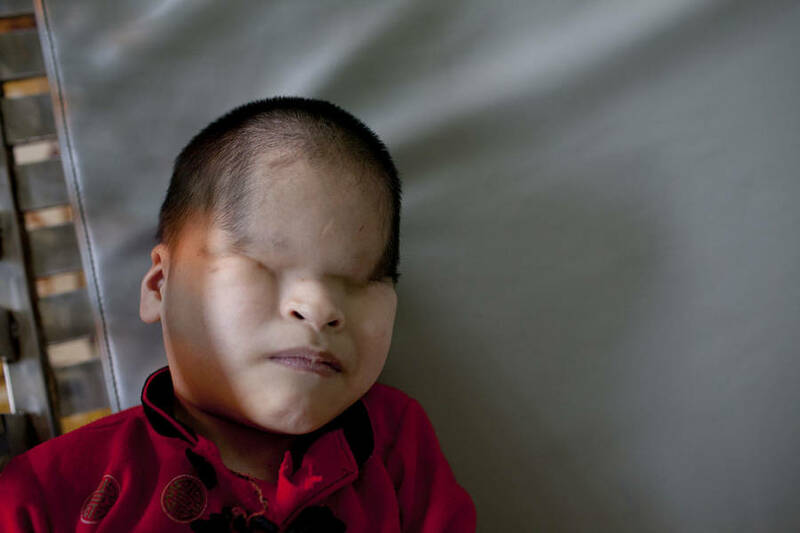 19) Nguyen Xuan Minh, a four-year child born with severe deformities because of Agent Orange. 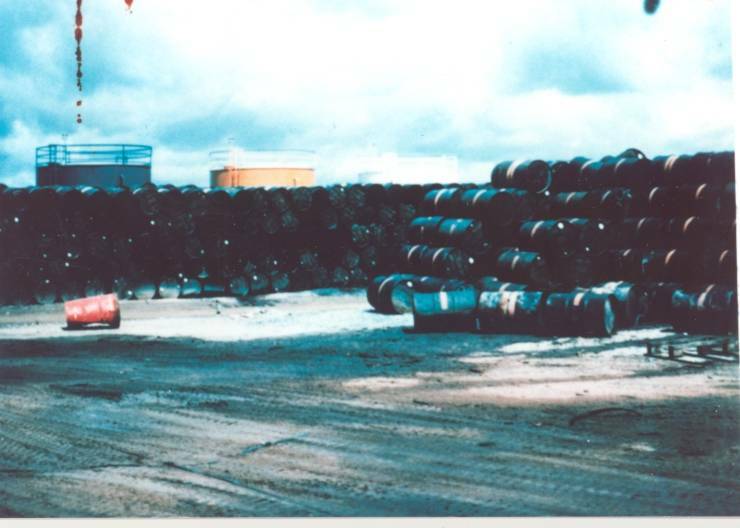 20) A massive stack of 55-gallon drums full of Agent Orange waits to be poured over the people of Vietnam. 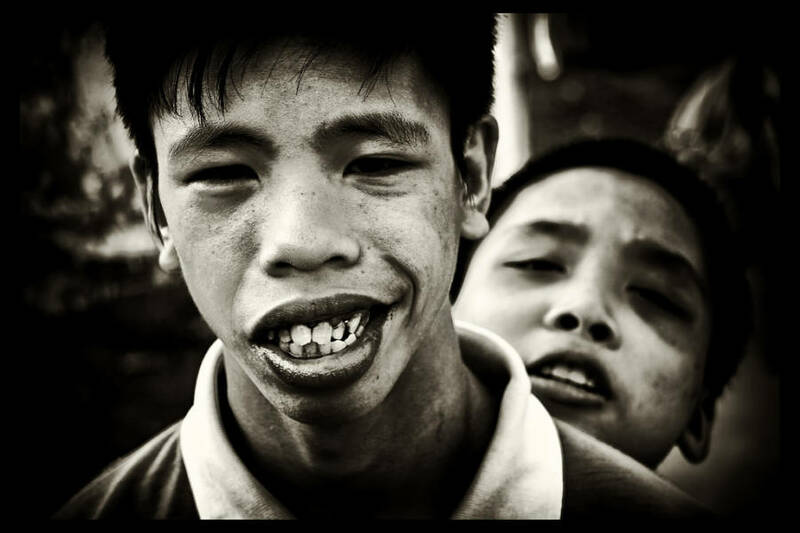 21) Nguyen The Hong Van, a 13-year-old girl who was born with skin disorders and a mental handicap. 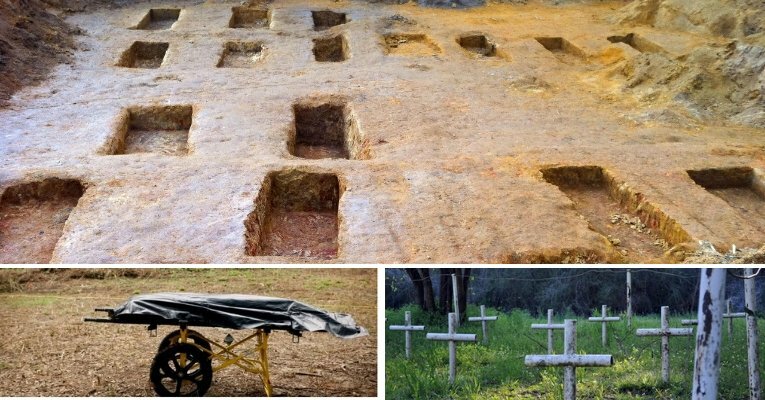 She grew up near a site where the army stored Agent Orange. 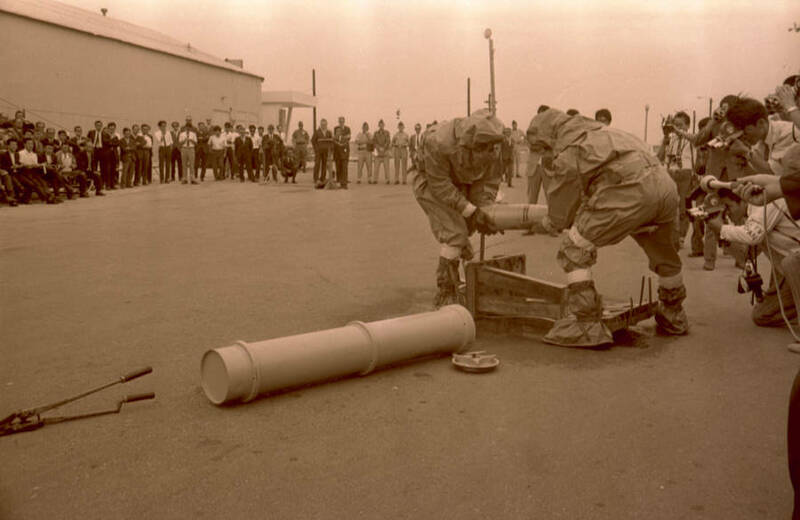 22) Military personnel demonstrate how to handle an Agent Orange leak, apparently growing increasingly aware of how dangerous the chemical they’d been using really is. 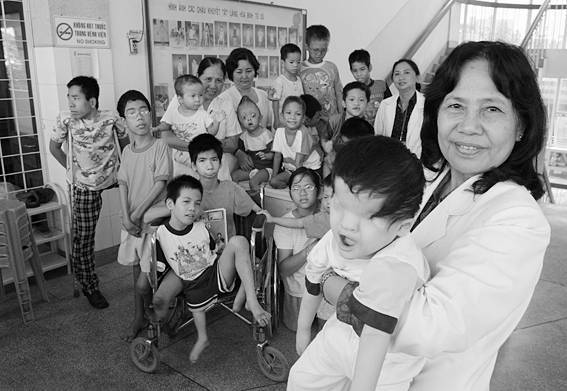 23) Professor Nguyen Thi Ngoc Phuong poses for a photo with the handicapped children under her care. Every one of them was born with a defect caused by Agent Orange. 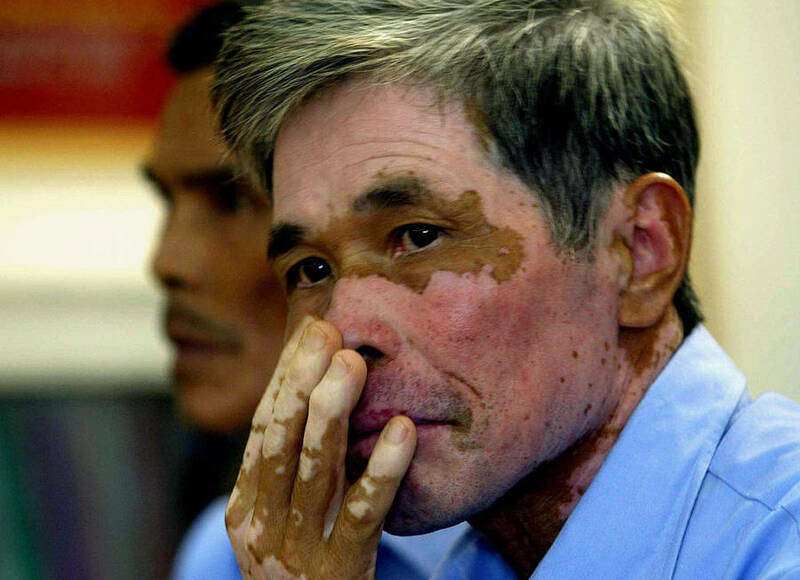 24) The third-generation child of an Agent Orange victim. 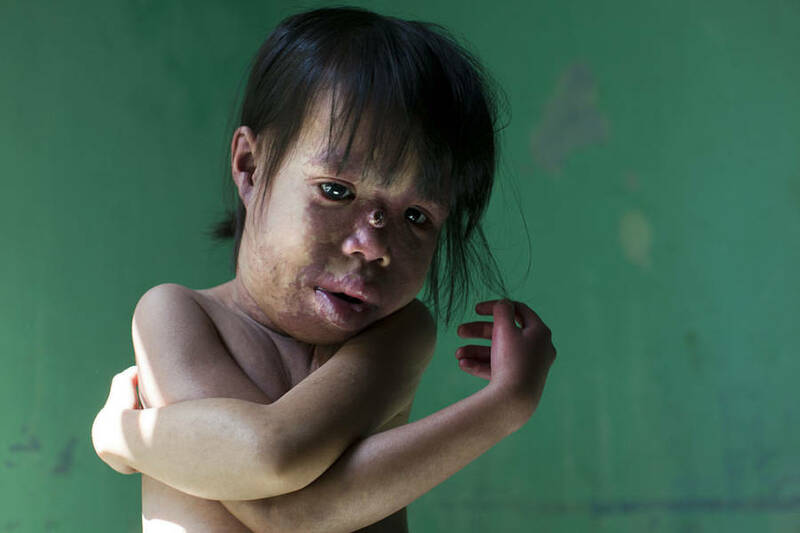 Despite the generations between him and the Vietnam War, this boy still feels the effects and lives in a special village for Agent Orange victims.